The first one+2 artist studios were established in Rozelle in 1992 with seven foundation artists. 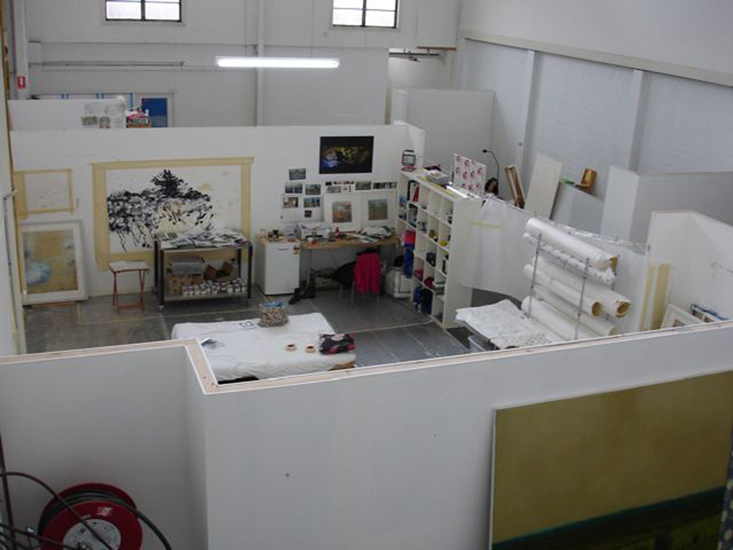 In 2007, a second set of warehouse studios was opened in Balmain, and today one+2 houses 85 artists practicing painting, photography, sculpture, glass, mixed media, installation and ceramics. Many one+2 artists are represented by leading galleries throughout Australia and include finalists in the Sulman and Portia Geach Prizes, the Salon des Refuse and Sculpture by the Sea. They include teachers at art schools and colleges. Managed by Studio Director, Rogerio Blanc-Ramos and Wendy Arnold as Co-Director, one+2 is a non-profit organisation offering working studios for artists. There is a program of individual and group exhibitions and workshops. Check out our website to see what’s on.